For a year Shannon has carried big awkward bottles of whey soy formula up and down the mountain to get them to this precious child. 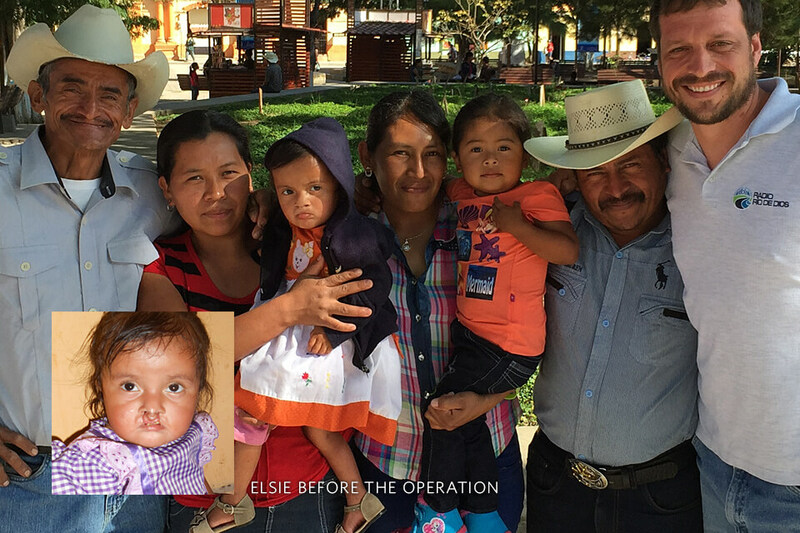 This January Elsi gained enough weight to have the surgery for her cleft palate. She returned to Gracias receive the second surgery with the same doctor who did the first surgery. The doctors told us that it was successful. Elsi’s parents were given instructions to keep Elsi on a strict liquid diet for two weeks. Unfortunately, the parents did not follow doctor’s orders and the stitches inside her mouth ripped open. The doctor was able to do a second surgery the same week with the same result. As a result, Elsi is going to have to have the surgery again next year, in 2016. Please pray that the surgeon returns and is able to help her.